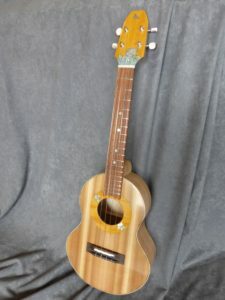 This ukulele was built entirely of sycamore, with the exception of the Western red cedar top and rosewood fingerboard and bridge. 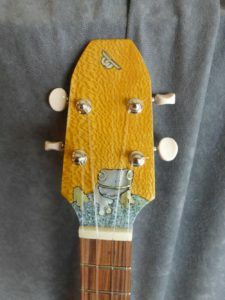 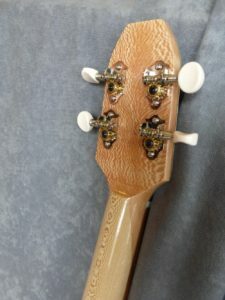 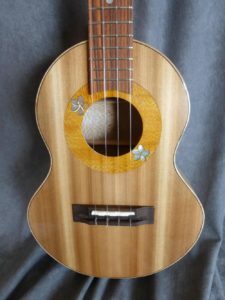 I based the tenor ukulele on a tropical theme with frangipani flowers on the rosette and a tree frog for the headstock inlay. 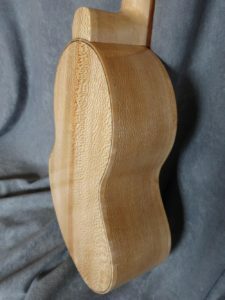 I like the look of sycamore, and it has held up well to the string pressures. 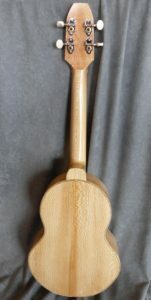 Completed in March of 2016.